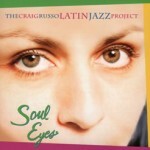 The best of both worlds when Latin meets jazz! 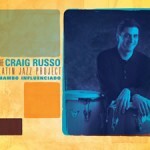 The Craig Russo Latin Jazz Project is a fresh mix of outstanding jazz soloists, rich, Afro-Cuban inspired rhythms, and unique arrangements of jazz standards. The group has played virtually every regional club and festival featuring jazz with notable performances at Chicago’s Jazz Showcase, St. Louis’ Jazz at the Bistro, Finale Jazz Club (St. Louis) and The St. Louis Jazz and Heritage Festival. Opening act credits include Nancy Wilson and Jeff Lorber/Eric Marienthal. Ok, we’re finally on Facebook! https://www.facebook.com/RussoLatinJazz/ Check out our latest video on Facebook or on You tube “Obsesion’ at https://www.youtube.com/watch?v=g0YFakAtYtU. Thanks to everyone for making our latest CD a success! “Mambo Influenciado” got extensive radio play throughout the country. The recording spent weeks in the top 20 on U.S. Jazz Radio charts, with active rotation on over 80 stations across the country. 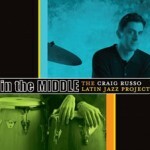 The recording was chosen as the CD of the Month, August 2010, by KUVO Denver, one of the country’s premier jazz stations. Thanks to all the radio programmers for giving us the opportunity to be heard. Go to the releases page and there are links for download and sales from itunes, CDBaby and other independent distributors. Our 2007 CD “In the Middle” (Cagoots Records, 2007) is still going strong. Latin Beat Magazine says “(In the Middle) explore(s) unlimited creative possibilities that fuse Afro-Caribbean rhythms with modern jazz sensibilities and masterful arrangements”. Go to the reviews page to read the entire review. 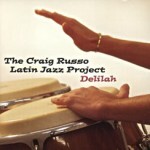 Craig Russo (Drums,Congas) – A Latin percussionist and drumset artist with a strong interest in Afro-Cuban music, Craig has traveled to Cuba to study with world-reknown percussionists such as Enrique Pla’, Jose Eladio, and Roberto Vizcaino. He also has 20 years of experience playing mainstream jazz with various groups in the Midwest and East Coast. Chip McNeill (Tenor Saxophone) – Chip is nationally recognized as both performer and educator, especially through long associations with Maynard Ferguson and Arturo Sandoval. Chip is currently Chairman of Jazz Studies at University of Illinois, Champaign-Urbana. John “Chip” Stephens (Piano) – Chip is internationally recognized pianist with strong roots in both Latin music and jazz. Chip has performed or recorded with Arturo Sandoval, Michael Brecker, Maynard Ferguson, Bobby Watson and a host of other world-class musicians. He currently teaches at U of Illinois Urbana-Champaign. Jeff Helgesen (Trumpet) – Jeff is former featured trumpet player with the Ray Charles Orchestra, and is one of the most respected and in-demand musicians in Central Illinois. He now teaches and leads several ensembles of his own, as well freelances as a studio musician and clinician. Tito Carrillo (Trumpet) – Trumpeter and educator, Tito Carrillo has been a fixture in the Chicago jazz and Latin music scene. since 1996. The list of artists he has performed, recorded and toured with includes jazz greats Kurt Elling and Toshiko Akiyoshi; big bands such a Woody Herman and Smithsonian Masterworks Orchestra and Latin music legends Tito Puente and Paquito D’Rivera. He currently teaches at U of Illinois Urbana-Champaign. Josh Walden (Bass) – Recently returned from several years in Los Angeles, Josh Walden is one of the most versatile and respected bass players in the region. He works regularly on a wide variety of groups including Latin, funk, and straight-ahead jazz. 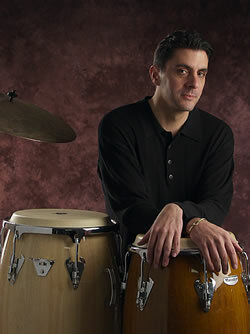 Jeff Magby (Drums, Congas) – Jeff is one of the region’s most in-demand musicians. Jeff lives in Urbana, IL, where he maintains a busy schedule teaching and performing a wide variety of music styles. Christopher Reyman, Carlos Vega, Ricardo Flores, Douglas Little, and Glenn Wilson.